This hot toy has been around for 20 years. Don’t be fooled by its cuteness, these little virtual reality pets are actually quite a bit of work for kids; you might just end up babysitting it a lot more than you signed up for. In a nutshell it is a virtual reality pet that sleeps,eats and poops. It lives inside a small eggshell digital device you can fit into your pocket or on your key chain. How did this craze start? It started back in 1996 when a employee (Aki Maita) whom worked at Bandai was looking for a pet that fit into her busy lifestyle. The 90’s was just getting a glimpse into the digital world that has expanded in what we know today. These virtual reality pets first started in Japan and then in 1997 they made their way to the USA. 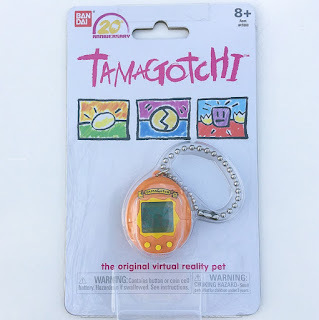 In 1996-1997 these Tamagotchi virtual reality pets were so popular they sold out faster than toy store employees could add them to the Toy shelves. Several years later Tamagotchi created Tamagotchi Connection. It was an update to the original version in which it came with more features like being able to play games with other Tamagotchi users via infrared communication. Fast forward to today, 20 years later there is still a fan base of users for these cute little guys. There are movies, Nintendo DS games and games for your phone/iPad all relating to the Tamagotchi fandom. 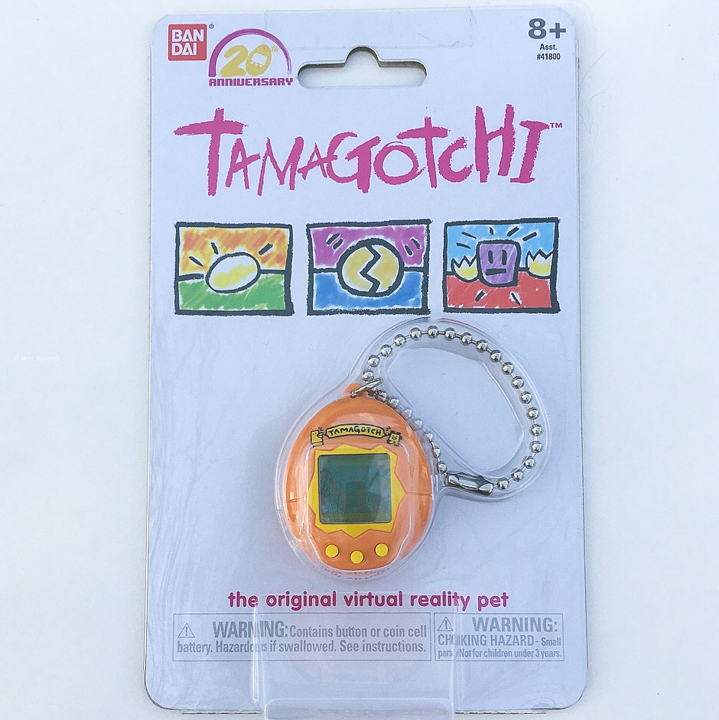 To celebrate the 20th anniversary Bandai America released a smaller version of the original Tamagotchi on November 2017. It has certainly been a hit, very quickly becoming more difficult to find in local stores because it keeps getting sold out faster than employees can restock the display cases. 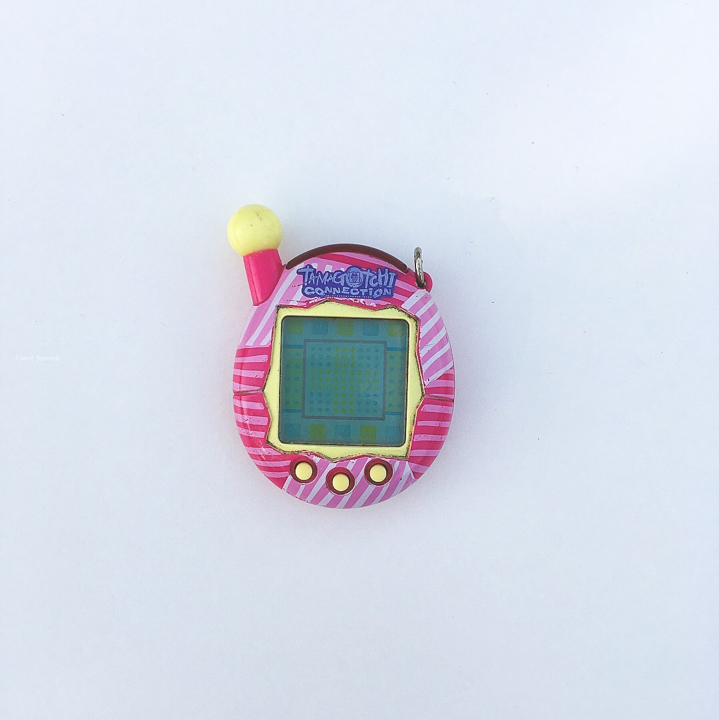 Yes, I jumped on the bandwagon and bought the newest 20th anniversary re-release of Tamagotchi. 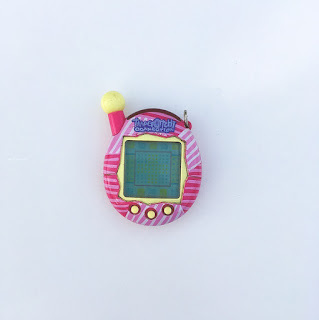 I actually have one of the second versions the Tamagotchi Connection but sadly it doesn’t seem to work anymore and the back battery cover has been misplaced. While this little guy is fairly easy to take care of I will warn parents it is work. It might be too much work for kids, leaving you the parent to take care of it or it will die. This thing beeps every 30 mins or hour wanting to eat. It poops a few times a day, which I giggle at each time. It isn’t hard to take care of with a push of a button or two and the task is complete. I can say I am thankful it at least sleeps through the night (I’ve noticed it sleeps a good 11 hrs). You definitely want to make sure you set the correct time at set up or your Tamagotchi might wake up when you are sleeping. Overall, it has been fun to revisit a blast from the past. I am actually having fun so far but it has only been a week. 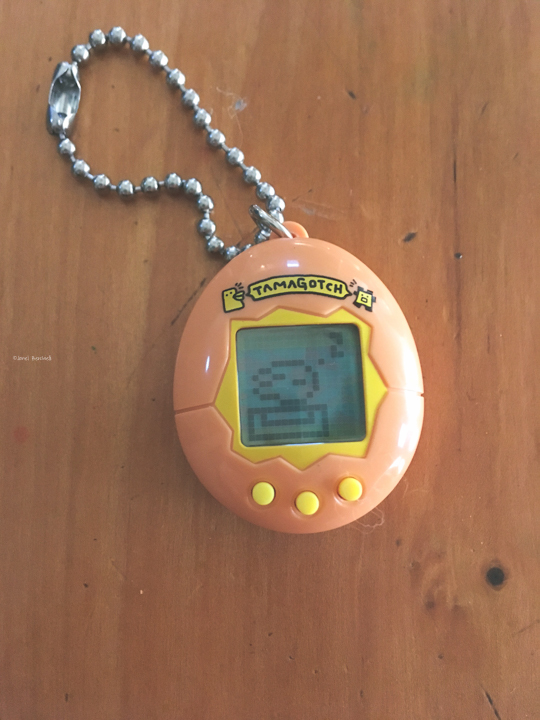 I just caution you if you are buying this for a young child, this virtual pet is work to care for and apparently it will die if uncared for or from old age. These might be conversations you might want to have with your kids so they can be prepared ahead of time.